To no one's surprise, BMW's new 8-series coupe will soon gain a convertible variant. Set to make its debut next month at the 2018 Los Angeles auto show, the droptop 8-series replaces the outgoing 6-series convertible, which disappeared for the 2019 model year. The 8 nomenclature signifies a more prestigious place at the top of the Bimmer lineup. 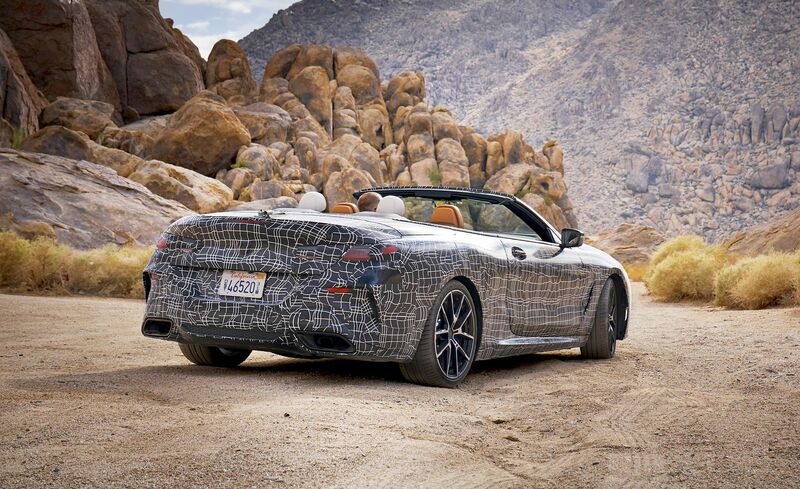 So far, BMW has only shown photos of the 8-series convertible in prototype form with camouflage, but it's easy to tell that it shares its shape and most of its bodywork with the coupe. A four-seat convertible with a softtop, it'll be offered in the United States in the same M850i xDrive configuration as the hardtop. That denotes it as using a twin-turbocharged 4.4-liter V-8 with 523 horsepower mated with all-wheel drive and an eight-speed automatic. 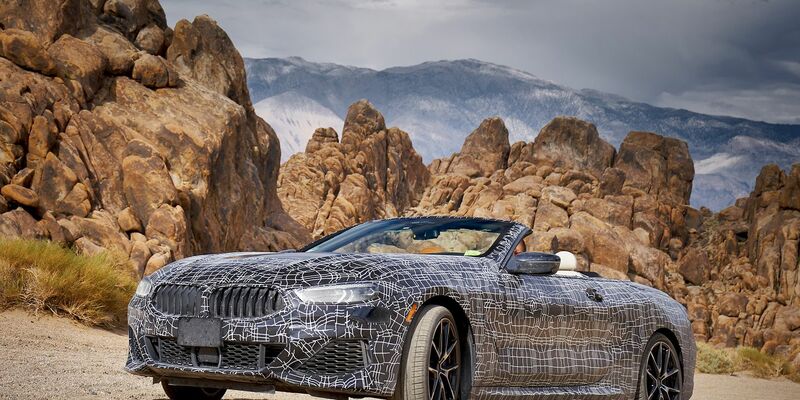 When BMW releases more complete details about the 8-series convertible, the company will surely talk about structural changes made to compensate for the car's open-top construction. This should make the convertible a bit heavier than the coupe, which has a claimed curb weight of 4478 pounds. Performance will still be swift, as BMW estimates a zero-to-60-mph time of 3.6 seconds for the coupe; the convertible should be only a few ticks slower. We also expect a price premium for the convertible compared to the coupe, meaning this droptop sure won't be cheap. The M850i xDrive coupe starts at a steep $112,895, and the convertible is likely to cost several thousand more to start. The debut of the convertible doesn't mark the end of the 8-series family, as a four-door Gran Coupe version will arrive to complete the range. Previewed by the M8 Gran Coupe concept, this third variant should debut sometime in 2019, while the coupe and convertible are expected to go on sale before the end of the year.